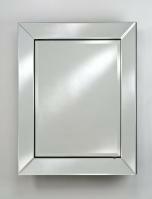 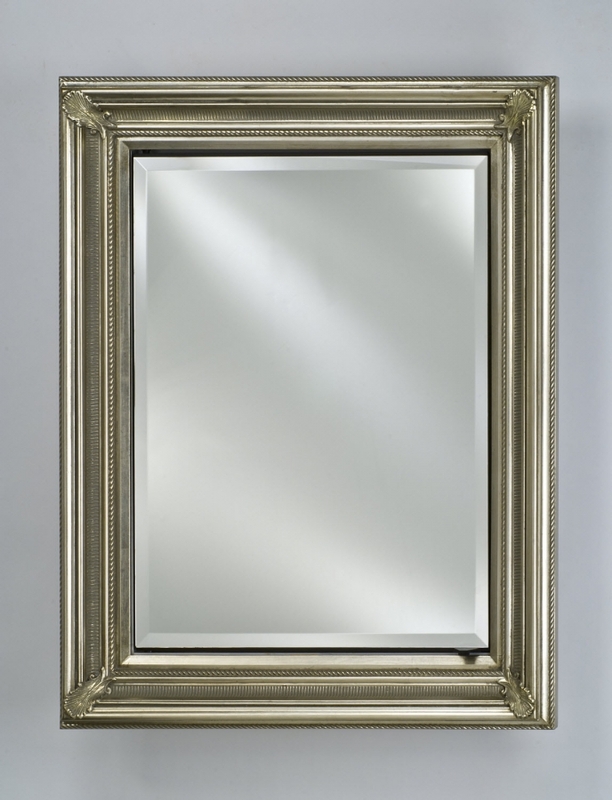 Overall Dimensions: 28" X 34"
Mirror Dimensions: 19 7/8" X 25 3/8"
Recessed Wall Opening: 21" X 27"
The design of the frame around the mirror of this single door medicine cabinet adds depth to the piece that enhances the elegant overall design. 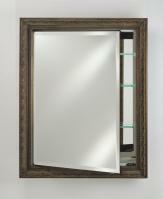 The addition of this cabinet will add beauty and extra storage space to the bathroom. 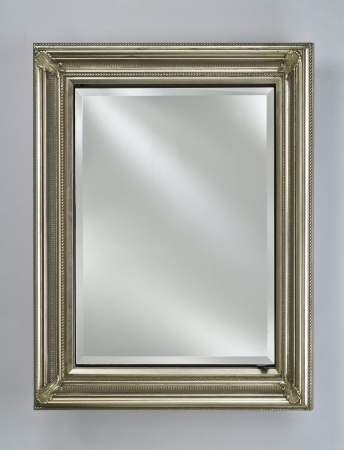 The wood frame is available in a variety of finishes.